( * IMPORTANT: please contact the library for the most updated operating hours; special projects and collection processing will alter normal operating hours and access). Library/Reading Room closed during holidays and session breaks. On-site Reference Assistance: Please contact us for scheduling on-site reference services. Thereafter, the Library/RR will be available by appointment only, made either by telephone (310-825-5043), or e-mail to marjilee@ucla.edu. Please summarize your inquiry by stating the purpose, nature, and breadth of your research need. Due to the limits and rarity of resources in Asian American Studies, there is NO circulation of materials, however, a self-use photocopier in the library is available (10 cents/copy). To insure materials are available to everyone, all bags and backpacks must be checked in upon entry to the library. It is hoped that the successful utilization of the RR/L's resources is not severely hindered. However, we anticipate these policies will enable us to better serve and assist our patrons for generations to follow. 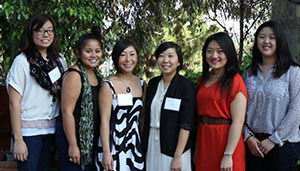 The Library/Reading Room was established in the mid-1970's to support the research and instructional programs of UCLA's Asian American Studies Center (45-60 courses are offered during a single academic year). Since its formation, the RR/L has supported the Center's research and curricular programs in two ways: 1) developing and maintaining a specialized resource collection, and 2) developing multi-faceted information access to the resources. Its mission and scope have broadened in the last 10 years to support the development and expansion of the field of Asian American Studies, to include new program areas, i.e. Preservation/Conservation, Special Collections. This past decade has also seen greater support and cooperation from the University Library, so Library/Reading Room staff engage in considerable collaboration with University librarians and archivists. Curriculum Support - assist faculty with course development; reserved reading needs, and their students' assignments (3 academic quarters). 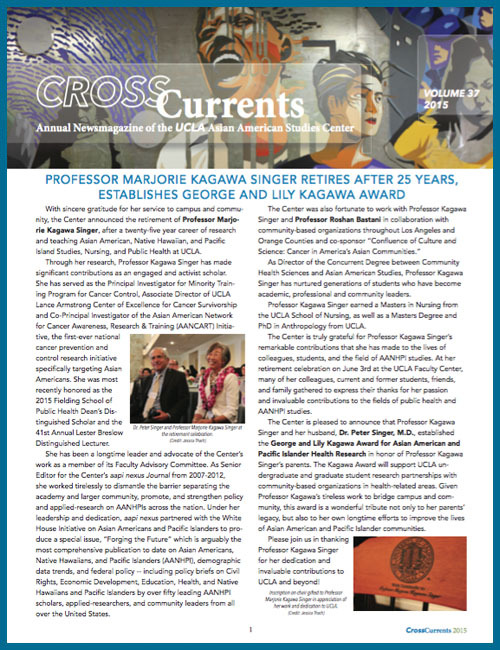 AASC Press Journals: Amerasia Journal and AAPI Nexus archives can be found online with subscription at www.uclajournals.org. Research Support - provide information and assistance to broad, multi-disciplinary research needs of undergraduate & graduate students, as well as faculty and visiting scholars from across the nation or abroad. Access/Reference Services - [Research/Curriculum Support] provide research/information assistance to both UCLA and non-UCLA communities via: 1) On-site appointment; 2) Telephone; 3) E-mail. Collection Development - [Research/Curriculum Support] develop and maintain selective collection of books, monographs, and serials published by/for Asian American and Pacific Islander community and organizations in America. Preservation/Conservation - [Research Support] Archive & microfilm tangible but aging evidence of the development of Asian American Studies/Movement targeting 2 bodies of materials: 1) Organizational legacy of AASC at UCLA, and 2) Periodicals now rare or Out-of-Print. Special Collections - [Research Support] acquire, process, & catalog gifted rare and significant Special Collections that are primary to research in Asian American Studies. Bibliographic/Information Management - [Research Support] establish bibliographic control of Asian American Studies as an academic, multi-disciplinary field of study by compiling and producing print and electronic reference sources. Also available are the unique collections of articles, pamphlets, and vertical files on community organizations and contemporary issues that have proven to be valuable resources on the latest trends and issues facing Asian Pacific America. Through generous gifts and donations, the library has also been developing a collection of digital media reflecting the presence of Asian & Pacific Islander America in music, spoken word, and hip-hop. The RR/L also houses all theses and final projects completed in fulfillment of degree requirements for the Master of Arts degree in Asian American Studies program at UCLA. For a complete list of the graduates and their theses/project titles, click here for the "M.A. 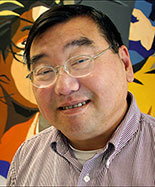 Theses filed in Asian American Studies, UCLA." To support and enhance the research and teaching activities of UCLA's Asian American Studies Center, the Library/Reading Room also develops indexed and topical bibliographies, electronic reference tools, and other valuable resource guides.